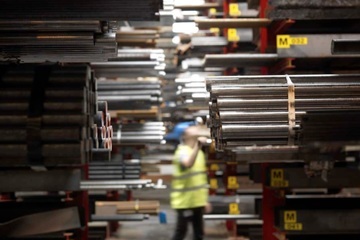 The ethos of Hillfoot is that all customers, however large or small their usage of steel may be, are equally important to the ongoing success of the business. Hillfoot account managers strive to find out what the needs of each customer are prior to opening trading accounts for them, to ensure supply is carried out through the most efficient supply routes tailored to meet those requirements. This process is also replicated with long-standing customers at regular intervals to ensure up to date information is kept in our customer database. This is particularly important in the current steel market conditions, as forward forecast requirements are ever changing due to end user inventory levels being tailored around “just in time” deliveries. The business is modelled on a 5-step account process called Future One, which is a best practice account management process. This ensures all requirements are known prior to making a proposal and that once orders or contracts are secured the business follows up with scheduled implementation plans which are managed and reviewed on a regular basis. A team of Regional Managers are employed to enable “face-to-face” meetings to be undertaken either on regular call patterns or organised quickly if required. This team not only visit major contract customers, but also new development clients and the lower spend spot buy customers. They are supported in the office by a sales team to ensure the customer can always talk to their dedicated manager or internal contact whenever the need arises. Contact us for more information about Hillfoot’s account management service or to arrange an initial discussion about your steel requirements.